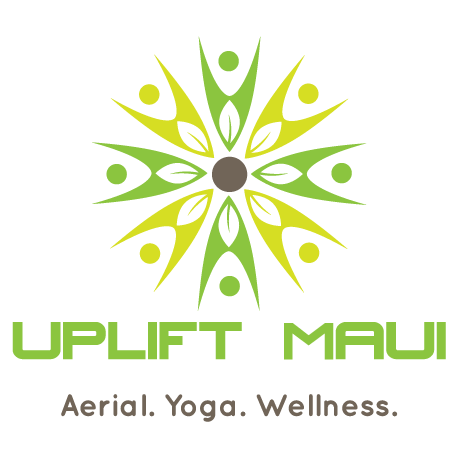 Uplift Maui strives to be an elite provider of services for enhancing, enriching, and uplifting the health and lives of individuals and the community through unique movement such as aerial yoga, aerial dance, as well as yoga and other forms of fitness, nutrition, and holistic healing for the body, mind, and spirit. Here at Uplift Maui we are proud to teach healing movement! We believe that the mind and the body are integrated into one and through movement we can access parts of our mind and spirit, allowing for unification of all three. 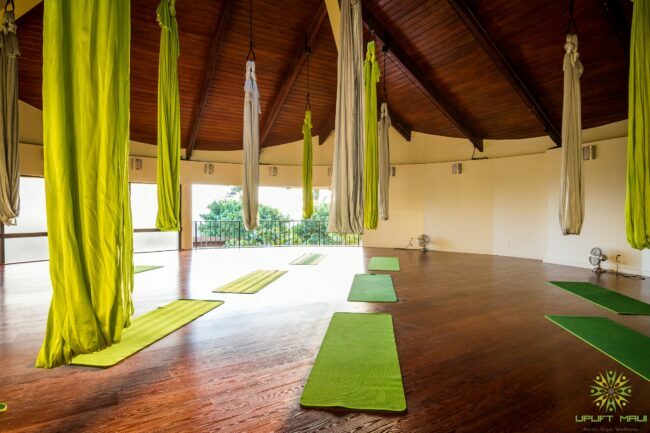 What is “aerial yoga”? 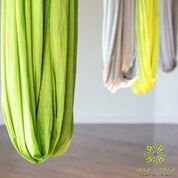 Aerial yoga is a way of doing yoga that is suspended from a silky sling; The sling allows for more support and helps the body find correct alignment; it allows the body to feel supported and to release, but it also can provide a challenge the body to use strength, depending on what your goal is. Benefits of doing aerial yoga are endless but here are some of the most commonly recognized side effects. A full body work out, physiologically beneficial, improves flexibility, heals back problems, increases strength, improves balance and can aid in digestion. If you are interested in getting the health benefits of Aerial and dance yoga, please contact us our sign up for a class.